A strong and independent legal community is the most significant obstacle to the arbitrariness of authoritarian rule. Image: Iryna Stasiuk. 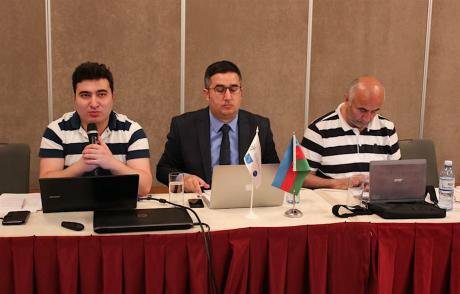 On the evening of 29 May, Samad Rahimli, an Azerbaijani lawyer and human rights defender, was sat at a desk in the middle of a large auditorium. Facing him were seven members of the Azerbaijani Collegium of Lawyers’ admission committee, who were waiting to interview him and decide whether or not he would be admitted. Although Rahimli had been warned privately that he would not be accepted, he was calm and ready for the interview. “The oral interview was supposed to last up to 30 minutes, and I was held there for 35,” he says. “The rest (of the candidates) were quizzed for 10-15 minutes.” Rahimli knew this because he’d been waiting for his interview since morning. His turn came at around 6 pm. Rahimli knew full well that the second, oral part of the interview is broad by design, and that the seven committee members sitting opposite him at a U-shaped table, were not going to go easy on him. “I was interrupted, I was told my responses were wrong, I was told to cite the article by heart, not to be argumentative,” he says, adding that he refused to answer some questions or quote obscure articles and rules because he didn’t consider himself under any obligation to do so per rules of the examination. In the end, just as the private warnings had prophesied, and despite years of experience working on cases and bringing dozens of them to the European Court of Human Rights, Rahimli was informed that he had not passed. He and others say that he was not admitted precisely because of this experience. That Azerbaijan is no heaven for fundamental freedoms is common knowledge. The harassment of lawyers by law enforcement and judiciary has been occurring for a long time, and is well documented. But 2017 was the year when the Azerbaijani authorities began systematically eliminating the independent legal profession as an institution. 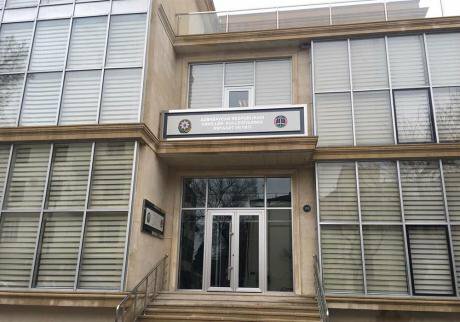 At the risk of dismantling the country’s already tenuous rule of law system, the Azerbaijani government has been arresting, harassing and disbarring lawyers. It has also influenced the Collegium of Lawyers to discriminate during bar entrance exams against any lawyer deemed unreliable or disloyal or who dares to provide legal representation to the authorities’ opponents. While introducing cosmetic reforms, the regime is rolling out new restrictive laws on lawyering, eliminating all the critical members of the Collegium and replacing them with subservient loyalists and government advocates. On paper, the Collegium of Lawyers is an independent non-governmental organisation that operates based on Azerbaijan’s Law on Lawyers and Legal Activities. It was created in 2004 as a requirement set forth by the international organisations that the country became a member of, such as the Council of Europe and the Organization for Security and Cooperation in Europe (OSCE). A self-regulating organisation, the Collegium is supposed to defend the rights and freedoms under the law, provide citizens with professional legal representation and enhance the prestige of the legal profession, as stated on its website. The organisation’s complete dependence on the government’s good graces is not news. A 2014 OSCE report outlines in detail many ways in which the organisation is not only dependent on the Azerbaijani state – but is also being used to suppress lawyers who are willing to represent and speak up on behalf of victims of grave human rights violations. Anar Bagirov. Source: Turan Agency.When the Collegium of Lawyers elected a new chairman in December 2017, some had hopes that he would improve Azerbaijan’s legal profession on the whole and the organisation itself. For years, the Collegium had been led by Azer Tagiyev, and Anar Bagirov, the young lawyer who replaced him, initially impressed observers in the legal community, media and civil society at large, giving frequent interviews in which he stressed the importance of improving the legal profession. Bagirov also acknowledged that Azerbaijan has one of the lowest ratios of lawyers per capita in the world (one lawyer per more than 10,000 citizens), and called for immediate reforms. In fact, many lawyers mention that although Azer Taghiyev wasn’t a reformist by any stretch of imagination, he was more protective of Collegium members – and willing to negotiate with the government. When Bagirov took over chairmanship of the Collegium, he vowed to raise its membership numbers. Azerbaijan, with its population of 10 million, has slightly more than 1,000 collegium members, whereas neighbouring Georgia and Armenia – which have populations of roughly four and three million each – have more than 4,000 and 1,500 collegium members respectively, according to data released by the Kazakhstan collegium. Collegium of Lawyers, Baku. Source: Collegium of Lawyers.After Bagirov took over chairmanship, the number of bar members did increase by over a hundred people, but none of them were human rights lawyers. Just as Bagirov took over the organisation, a wave of disbarments started to hit Azerbaijan’s human rights lawyers. 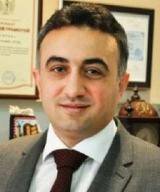 Yalchin Imanov was disbarred in December 2017, and then two other lawyers, Asabali Mustafayev and Nemat Karimli, had their licenses temporarily suspended in April 2018. Irada Javadova, another professional who had vocally opposed violations, was disbarred in June 2018. At the same time, in October 2017, new amendments to the Law on Representation were introduced by the government, prohibiting lawyers who aren’t Collegium members from practicing even procedural and civil law. “Anar Bagirov managed to do in six months what Azer Tagiyev couldn’t do [in years]. This is an indicator of his success in fulfilling all of his obligations before the government,” Rahimli comments facetiously, lamenting that Bagirov’s short tenure has seen a sharp decline in lawyers’ activity in general. Prior to November 2017, if a lawyer was disbarred in Azerbaijan, they could still legally represent clients in court with the exception of criminal cases. 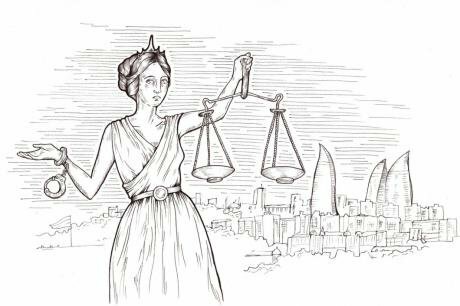 But new amendments to Azerbaijan’s Law on Representation changed the consequences of disbarment for lawyers, reserving the right to represent clients in any court proceedings only for Collegium members. Once these amendments were introduced, Bagirov rushed to ensure the public that the law was part of the reforms he’d promised, and that the Collegium would soon welcome new members as the result of the bar examination. Yet according to critics, the oral examination – previously a part of the Collegium’s entrance exam – has become a tool for undermining the candidacies of lawyers the government deems undesirable or disloyal. Most of the lawyers who fail the new examination have failed it exactly at the final stage, the oral examination. It’s pure math, according to Aliyev: “The heavy workload of numerous administrative, civil and criminal cases in the campaign of repressions against civil society was shouldered by 10-15 lawyers. They turned into a major headache for the government. Now, imagine that the Collegium of Lawyers was an independent and democratic organisation, and it numbered not 10-15, but 1,000-1,500 independent and principled lawyers. The authoritarian government understands this danger very well,” he says, adding that in a country with 150 political prisoners, there are now only six lawyers working on political cases. In terms of the future that awaits lawyers who fail the oral examination, Intigam Aliyev says that “for some of them, the doors close for good. These are the politically active lawyers who criticise the government in the press and on social media.” A second group, Aliyev says, are the ones who still have a chance to get back in the good graces of the government if they “behave”. But, as Maran Turner says, no matter how much the government has pressured independent lawyers, they are still highly regarded in Azerbaijani society and even by the government, who can’t easily dismiss them as a “fifth column”. In order to break the vicious circle of pressure on them, Turner suggests working with international financial institutions that provide the financial aid highly craved by Azerbaijani authorities. “(International financial institutions) should be telling the government that respect for the lawyers is about respect for the international law, for the rule of law and independent judiciary. This is about having a healthy institution. If you don’t have independent lawyers, if you have very few lawyers, then you completely compromise your judiciary,” Turner adds.